Fossil fuels release large quantities of GHG into the environment. 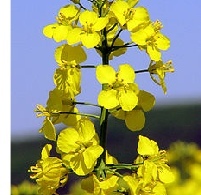 By burning biofuels, we are retuning gases, recently captured, that will be taken up again in the growth of a new crop. The law requires you to dispose of your waste oils to an approved waste handler. Let us handle it for you quickly and cleanly. We can now only make waste cooking oil collections within 15 miles of Bideford. We do NOT collect lubricating oils or red diesel.